At Integrate 2017, Panasonic Australia will showcase its expanding display solutions – from new products that bring the benefits of laser and 4K technology within the budget of classrooms and lecture theatres; to innovations that enhance the guest experience at large venues; and solutions for the retail space. The exhibition runs from 29-31 August, at the Melbourne Convention and Exhibition Centre. The PT-MZ670 Series of projectors – the company’s first 3LCD Solid Shine laser range – combines the affordability of 3LCD with the brightness, long-life performance and cost-savings of Panasonic’s laser technology. The MZ670 Series will deliver an offering within the budget of installations in small to mid-sized meeting rooms, classrooms, and lecture theatres. The range will be available in November, providing one of the most versatile and cost-effective projection solutions in its class. Other developments in projection technology include the PT-RZ21K Series. Available in December, this is a game-changing addition to Panasonic’s staging laser projector lineup, with class-leading colour performance, continuous operation and compact size providing the ultimate flexibility for large venues. 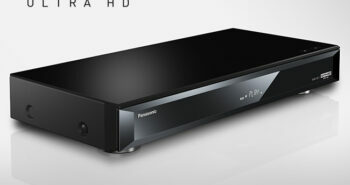 “Panasonic is committed to providing solutions that help customers enhance the stakeholder experience, with industry-leading performance, versatility and efficiency that will meet their needs well into the future,” said Peter Huljich, General Manager, Media and Entertainment, Panasonic Australia. The company will also demonstrate its ‘Space Player’ hybrid spotlight and laser projection device. Available in black or white, the Space Player is a compact cylinder that resembles a regular shop spotlight but can highlight in-store displays by blending video, stills, graphics, and text-based digital signage with multiple spotlighting effects in virtually any combination desired. Thanks to a flexible universal joint, Space Player can project in all directions below its horizontal axis, and is mountable on conventional lighting tracks, making installation and relocation easy. Data is stored on SD Card, and ‘Space Player’ can be updated over a Wi-Fi network, including capabilities such as Intel® Pro WiDi to mirror screens of supported mobile devices and PCs. Other applications include museums, showrooms, hotels, function halls, exhibitions, or in any area where spotlighting is used to capture attention. Panasonic’s touch-screen interactive display – the 75-inch 4K direct LED panel (TH-75BQE1) – makes digital whiteboard communications more affordable and effective for business, government and education institutions, and provides an extra-large, highly detailed display with vivid, sharp 4K resolution. The interactive panel is a practical and efficient tool for schools and businesses, and gains an array of features with Panasonic’s whiteboard collaboration software when connected to a PC via USB cable and HDMI/VGA cable. The innovative PT-MZ670 Series of installation projectors is Panasonic’s first 3LCD range to feature its acclaimed SOLID SHINE Laser technology. The series comprises four compact 3LCD lens-interchangeable models, the PT-MZ670 (6,500 lumens ANSI) and PT-MZ570 (5,500 lumens ANSI), both with WUXGA resolution, and the PT-MW630 (6,500 lumens ANSI) and PT-MW530 (5,500 lumens ANSI) with WXGA resolution. The new projectors are ideal for ceiling-mount applications in small- to mid-sized meeting rooms, classrooms, and lecture theatres. When developing the new range, Panasonic placed emphasis on delivering brilliant high-contrast images in bright environments, streamlining installation and operation, lowering maintenance costs, and offering a choice of wired and optional wireless interfaces to enable closer collaboration. The projectors meet consumer demand for high-brightness solutions, combining the affordability of 3LCD with the long-term cost-savings of Panasonic’s SOLID SHINE Laser. A game-changing addition to the SOLID SHINE Laser projector lineup, the PT-RZ21K Series delivers 20,000 lumens and 20,000:1 contrast in WUXGA (PT-RZ21K) or SXGA+ (PT-RS20K) resolution. A cooling system and filter-free design for continuous operation make the PT-RZ21K Series ideal for large venues. The compact size – up to a third less volume than other models in its class – also makes it easy to handle. The latest 3-Chip DLP technology and image processing engines assure class-leading colour performance, white balance accuracy, motion handling and more. Together with powered lens shift and optional lenses, the PT-RZ21K Series can be mounted in any configuration (360-degree) without picture distortion temporarily or in permanent applications. Single LAN cable DIGITAL LINK connectivity simplifies installation, reduces cabling and associated costs, and enhances reliability. Built-in Geometric Adjustment supports a wide range of mapping functions via dedicated software, such as multi-screen set-up. With the optional ET-CUK10 Automatic Screen Adjustment upgrade kit and multi-screen calibration via camera, complexity is greatly reduced during set-up. Available now, the Space Player (PT-JX200 Series) features a 1-Chip DLP™ imaging device and a robust laser light source providing 2,000 lumens at XGA resolution. 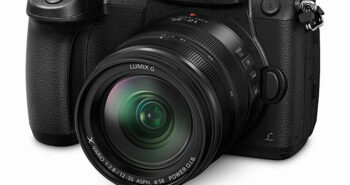 Panasonic hybrid colour-wheel technology produces very rich and vibrant images for such a compact device. The filterless design requires no maintenance for up to 20,000 hours of 24/7 operation. Space Player is also very simple to use, requiring only content stored on SD Card to commence playback. When connected to a local network, Content Manager allows playlist scheduling and access to brightness/power supply settings, all easily editable over Wi-Fi. Included Wireless Manager software enables wired or wireless transmission of images displayed on PC screens to the Space Player, while a Wireless Projector app is offered for iOS and Android™ devices. Terminals include SD Card slot, HDMI, USB Type-A for power supply, and RJ45 supporting PJLink™, Art-Net, and Crestron software. Making dynamic presentations on a digital whiteboard affordable for companies and schools, the new TH-75BQE1 75-inch 4K UHD Direct-LED display gains deep versatility when interfaced with free downloadable Panasonic Whiteboard Software via USB and HDMI/VGA cables. Software dovetails with the touch-panel for effortless operation, and in Whiteboard Mode, allows users to write and draw on screen with a tool palette for line thickness and color adjustment. Included PowerPoint Link Mode enables import, modification, and resaving of PowerPoint files, while expanded presentation tools such as Loupe, Spotlight, and Fade-out Marker assure professional-level presentation. Video-capture and screen-capture functions are useful for recording presentations, and pages of work can be saved for later distribution. Facilitating up to 10-point touch, the panel enables natural notation with an included stylus pen. A simple USB memory viewer decodes media on USB sticks; front-facing speakers deliver clear audibility in classrooms; and 4K resolution presents viewers with bright, clear, and legible pictures. With its large size and detailed resolution the TH-75BQE1 is also perfect for interactive signage applications such as wayfinding. The TH-75BQE1 is available now, priced at $12099RRP.